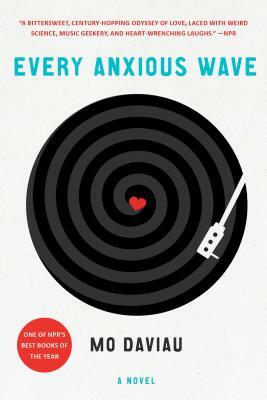 A high-spirited and engaging novel, Mo Daviau's EVERY ANXIOUS WAVE plays ball with the big questions of where we would go and who we would become if we could rewrite our pasts, as well as how to hold on to love across time. MO DAVIAU was born in Fresno, California and proclaimed her life goal of publishing a novel at the age of eight. A former librarian and independent bookseller, Mo is also a solo performer, having performed at storytelling shows such as Bedpost Confessions and The Soundtrack Series. She is a graduate of Smith College and the Helen Zell Writers' Program at the University of Michigan where Every Anxious Wave won a Hopwood Award. Mo lives in Portland, Oregon. Every Anxious Wave is her first novel. "An absolute kick in the pants to read--if you love rock, bodies, and time travel, this is your ride."